Get weekend-ready in this RVCA Daggers Twill pant. 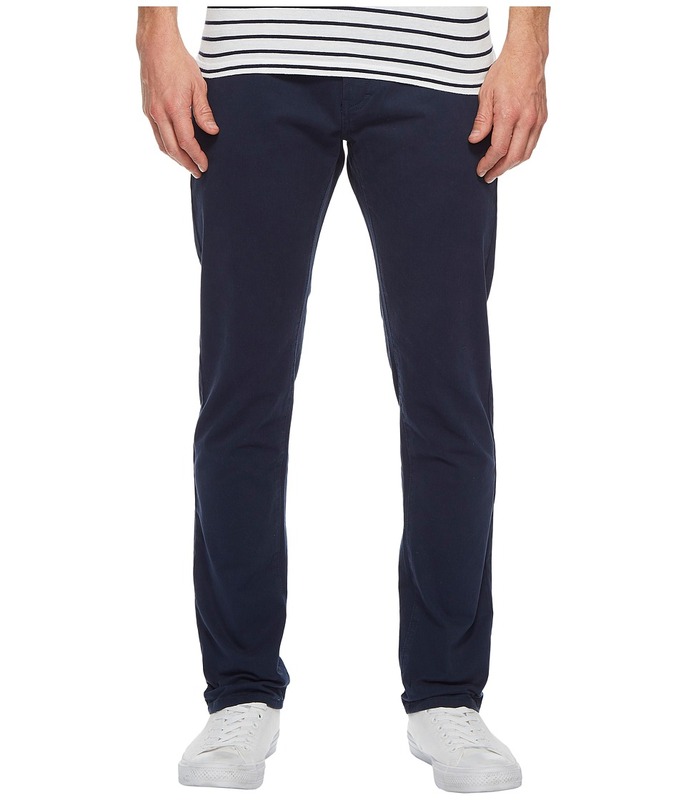 Slim-fit twill pant features V and A embroideries at back pockets. Five-pocket design with brand label at coin pocket. Yoke at back. Belt loops throughout waist. Zip fly and button closure. 99 percent cotton, 1 percent elastane. Machine wash cold, tumble dry low. Imported. Measurements: Waist Measurement: 32 in Outseam: 42 in Inseam: 32 in Front Rise: 10 in Back Rise: 15 in Leg Opening: 14 in Product measurements were taken using size 32, inseam 32. Please note that measurements may vary by size.